Citizens around the globe are demanding better services and more responsiveness from their local, state, and national governments. Governments are responding to this challenge by implementing a vast range of information technologies (IT) to reengineer government processes, deliver services, and manage resources more effectively. As such e-government (electronic government), which can be defined as the government’s use of IT to exchange information and services with citizens, businesses, and other government agencies, is increasingly becoming a crucial concept for practitioners, researchers and educators. E-Government: E-government or electronic government can be defined as the government’s use of IT to exchange information and services with citizens, businesses, and other government agencies. Web-Portal: A Web-portal, also known as a gateway, refers to a World Wide Web site that serves as a major starting point for a particular set of users when they interact with the Web for a particular reason. A portal usually provides a wide variety of services and resources such as forums, search engines, links to other related Web sites, and the like. E-Government Integration: E-government integration is the coverage of important e-government topics in existing courses. Foundation Courses: Foundation courses are designed to prepare potential students who otherwise do not meet matriculation requirements to qualify for admission to undergraduate courses. 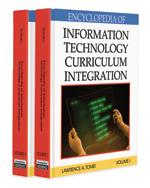 Curriculum: A curriculum is composed of those classes prescribed or outlined by an institution for completion of a program of study leading to a degree or certificate.